Welcome to VaraVild! My name is Peter. 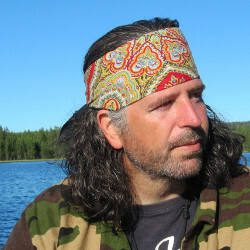 I teach non-duality, nature awareness, tracking and bushcraft survival. VaraVild events are organized and administered by HuskyGård (under the VaraVild name). You are very welcome to book me (Peter Friebel) to give talks, workshops and courses at your event, school, company or organisation.